WA free range chicken blended with classic herbs for a great all-rounder sausage. A versatile chicken cut ideal for paella, gumbo and cacciatore style recipes or simply roasted. 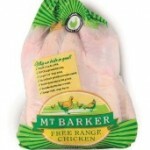 The very best whole free-range chicken, available from 1.2kg to 2.4kg. The most versatile of cuts, high in protein and low in fat. Often described as one of the most of tender chicken cuts. 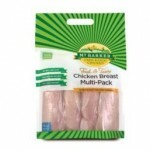 An excellent value five breast pack, individually packaged for freezing. A versatile and healthy high in protein alternative to beef mince. Ideal for roasting served on a bed of vegetables or with a warm salad. Makes a nutritious, delicious and satisfying meal in less than 10 minutes.